C.S.I. S.r.l. as a pressure vessel manufacturer, realized an autoclave system to maintain standby pressure of a ﬁre protection line in the case of non-functioning pressurizing groups existing at the plant. The pressure vessel was designed according to EN 13445-3 normative with 16 bar design pressure and 30.000-liter nominal capacity. 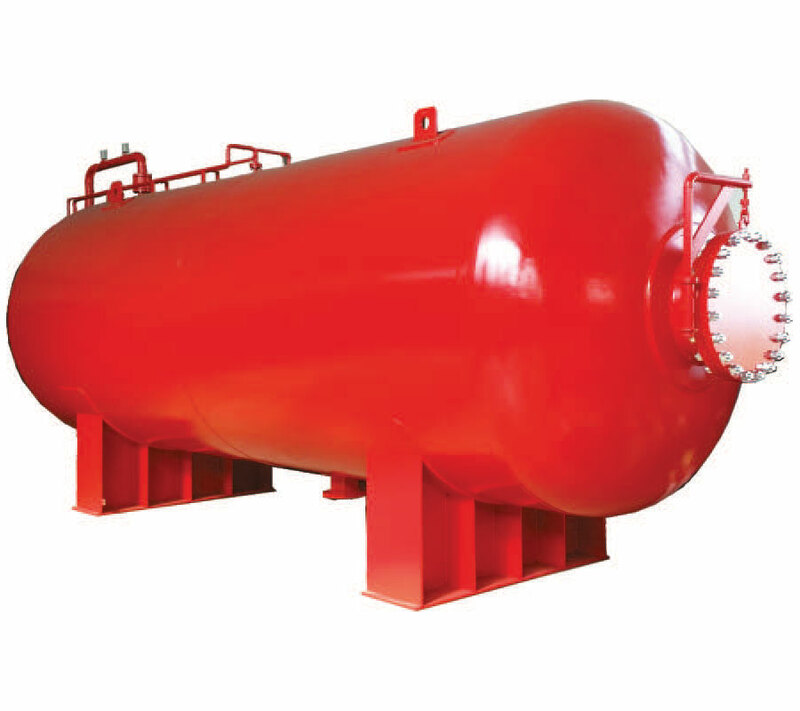 The pressure vessel is constructed from carbon steel materials and subjected to a third party certiﬁcate for CE marking and conformity. Internal surfaces of the vessel are coated with water based semi-gloss paint approved to be used with potable water containers. The system is pressure maintained with ATEX certiﬁed N°2 compressors (main and standby) keep system pressure at the desired level. The vessel is equipped with visual level indicators and pressure transmitters to run and stop compressors and level transmitters to run and stop the jockey-ﬁlling pump. The Inspection opening 24” is equipped with davit system to ensure secure operation of the blind ﬂange.